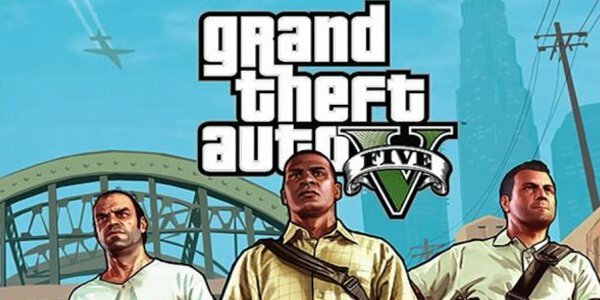 A couple of months ago, I wrote about the beauty of the Grand Theft Auto soundtracks. Now that a little game called GTA 5 has been released, it seems like a good time to analyse the music of Rockstar’s latest masterpiece. West Coast hip hop classics are well represented in the tracks, as a throwback to San Andreas. Dr Dre’s “The Next Episode” is the first track you hear as you begin the game. Most of the songs on here veer towards the lighter side of G-Funk spectrum, being good songs to cruise along the highways to rather than gang anthems. Dr Dre’s associates like Snoop Dogg and NWA are also included several times. The station is even hosted by DJ Pooh, a real life producer who’s worked with many of the artists himself. Contemporary hip hop is also out in force. The golden child of LA’s real life rap scene, Kendrick Lamar, is featured on not one but three songs, including Jay Rock’s great “Hood Gone Love It”, which was used to soundtrack Franklin’s trailer. There are also tracks by up-and-coming stars A$AP Rocky and Tyler the Creator. Los Santos Rock Radio plays a constant stream of classic rock and pop from the 70’s and 80’s, including my favourite song from the game so far, “Radio Gaga” by Queen. This ode to the golden age of radio works brilliantly in a game where you will spend so much of your time listening to it. It also shows the game’s sense of fun, compared to the dour, serious GTA IV. You can also hear the likes of Stevie Nicks, Elton John and Phil Collins on this station. As always, Rockstar takes pleasure in placing obscure genres and artists in its games. For example, Radio Mirror Parks plays non-stop ‘indietronica’, while Soulwax FM specialises in ‘fidget house’. Thanks to the games improved-radio system (just hold down a button to select the station and see what song’s playing), you’ll always know what you’re listening to, so you can find it again later. If like me you loved San Andreas’s country station, K Rose, you’ll be pleased to know that it’s back in the form of Rebel Radio. I’ve not had much time to listen to it as you can only get it when out in the country, however I predict there will probably be some hidden gems on it, and also some intentionally terrible ones. With 240 licensed songs, the entire soundtrack would take you days to listen to even without all the exciting things happening in Los Santos. If you somehow get bored of this wealth of music, there are even two hilarious talk radio stations to listen to. All of this adds up to one of the richest gaming experiences ever. If I’ve missed out your favourite song (which I probably have), share it below. Hey, it’s a free excuse to play more GTA!